The world of ecommerce centres on making sales across multiple channels, and get more and more customers.If you want to get more online visibility for your products, Amazon – one of the biggest online shopping platforms – can provide you with greater amount of exposure. 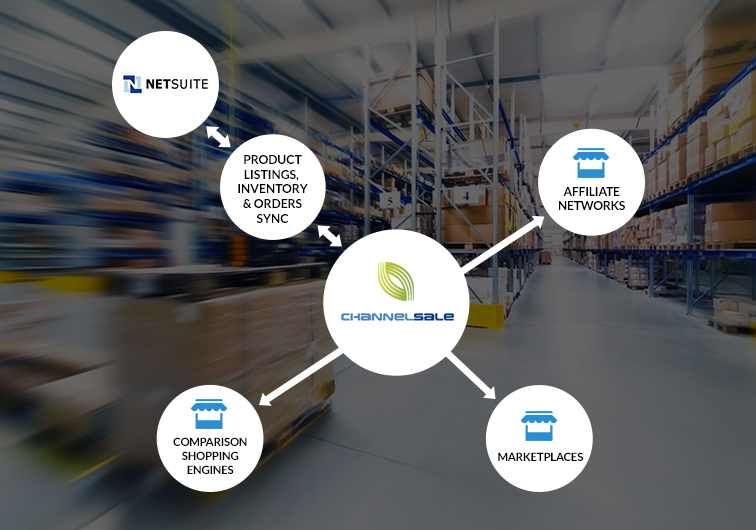 At ChannelSale, we use the latest software management tools in order to integrate the Amazon platform with your Netsuite store. Our Netsuite Amazon integration services can be highly assistive for your ecommerce store. Other than technical integration, we also use our expertise in internet marketing to devise unique strategies which can offer high exposure to your store. We showcase your Netsuite store items across multiple channels, and also adjust the pricing structure accordingly to help you make more sales. With our advanced Netsuite Amazon connector, we can ensure smooth integration and easy synchronization of the platform with your ecommerce store. Apart from integration, we can also provide you with automated Amazon product listings, item stock updating, shipping and order tracking management services and more. How We Can Be Useful for You? We offer the best in class Netsuite real-time inventory management services, and synchronize all your store products with that of Amazon. Our system tracks your account on a 24/7 basis. We make use of granular level item category mappings for syncing your store products with those item categories from Amazon which are most appropriate. Our Netsuite Amazon plugin ensures seamless synchronization. We are able to offer support for varied kinds of items on Netsuite, regardless of the size, shape, type and colour. These can be simple or even multi-variational. We can also offer assistance with group items, kits and bundles. With our Netsuite Amazon extension, we can establish a parent-child relationship when it comes to the bond of Amazon with your ecommerce store. We prepare varied pricing for Amazon and various other online marketplaces. We also mark up the price tags of your item according to the needs of various shopping engines. Need more information or ready to get started with enhancing sales on Netsuite and Amazon marketplace? To know more about us, or to begin with us, you can mail any of our ChannelSale Client Service Executives on email info@channelsale.com or give a call on +1-866-709-9495.